My new contemporary out May 5, 2015 is The Fill-In Boyfriend. I agree with ALL of you. Kasie West is the best. I agree with Fiona Aquino, and a lot of others! We need a sequel. I've searched and searched and searched, hoping I had somehow over looked it. Sadly, I haven't. I want and need to know what happens with Gia and Hayden. Does he ever transfer to UCLA? Do they split up? One of them propose? (Cause let's face it, the new Gia could totally do it.) And what about Claire and Jules? Does Claire ever see how evil she really is? And that she's been used by her? Does Claire and Gia ever make up? Do they become roommates like they had planned? Are they just passing acquaintances now? Do they even speak? What about Bec and Nate? Does Gia and Hayden's payback work? Do those two get together? Does Bec get mad at them? Immature brain? Does she decide that she doesn't like Nate as much as she does Blake? And what about Marcus? Do they all stay in contact with each other? Could even introduce Hayden's dad. I am curious about him and his relationship with his family, and how he acts toward Gia. Ugh. So many questions, so many ways to go about making this a sequel. Or even better, a series! Omg i completely agree!!! I just love Hayden and Gia together that we need more!!! I would love to read more about their story. I just finished The Distance Between Us, On The Fence, and Pivot Point. I can't wait to read more!!! I absolutely adored On The Fence, The Distance Between Us, and your newest The Fill-In Boyfriend. Your novels are so addicting I just could not put them down, (some I read twice). I finished each in three hours or less because my eyes could not leave the page. PLEASE write more novels because your stories are absolutely amazing and you are definitely one of my favorite writers! Your stories inspire my life and are the only ones that have expressed extreme emotion from me. They made me cry, laugh, smile, and fill with fury (I hate Spencer). Please, please, please write more so I can read them ASAP, thank you so much for writing extraordinary pieces of work! Does Fill in boyfriend have a sequel? I know right, I read it like 1000 times! I would love it if there Was a sequal!! I hope there is a sequel for Fill in Boyfriend. I NEED a sequel for Fill In Boyfriend. I haven't had enough of them yet! yes the fill in boyfriend book needs to continue and talk more about hayden and Gia !!!! i wanna know what happens in college how gia survives without Claire her best friend!!!!!!!!!!!! Love, love, love The Fill-In Boyfriend so much & all your books... I'm completely addicted to your writing. Please continue to write, I can't wait to read more. I just finished reading The Fill-In Boyfriend and I absolutely adored it! I can't remember the last time I was interested in reading, but after reading this I want to read more! Please tell me that there's going to be a sequel because the minute that is published I'm pulling out my wallet. I would also hope that you would consider making this book into a movie. I would go see it at least 10 times and I'm sure I'm not the only one who feels that way. Thanks for getting me interested in reading again!!! I feel the same exact way! Please make a sequel. I need it. I love your books so much just got done reading the Fill in Boyfriend it is amazing. Please keep making books you are so talented. Like some other people have you thought about making movies they would be amazing!I was king of made when the book ended please make a sequel if not just keep making more books. I have read them all they are are amazing like i said before! You are my favorite authorKasie West! I just finished reading this book.. it is my favorite book ever!!!!!!!!!!!!!!!!!!!!!!!!!!!!!!!!!!!!!!!!!!!!!!!!!!!!!!!!!!!!!!!!!!!!!!!!!!!!!!!!!!!!!!!!!!!!!!!!!!!!!!!!!!!!!!!!!!!!!!!!!!!!!!!!!!!!!!!!!!!!!!!!!!!!!!!!!!!!!!!!!!!!!!!!!!!!!!!!!!!!!!!!!!!!!!! is there going to be a sequel to the fill in boyfriend? YES I NEED A SEQUEL LIKE WILL JULES CONTINUE TO BE MEAN? WHAT ABOUT BEC AND NATE? WHAT HAPPENS AT COLLEGE? WHAT ABOUT HER FAMILY? THIS IS SO TROUBLING AND I LOVE THE BOOK SO MUCH! I need a sequel to The Fill in Boyfriend!! While reading The Fill In Boyfriend I felt like I was in the Story. When something funny happened I would laugh or if something sad happened I would cry. When ever something happened between Gia and Hayden I would get goose bumps and that only happens if I'm reading amazing work. I also don't like reading so for a book to hold my interest and not make me want to take my eyes off of it that's incredible! So like asked before please consider writing a sequel and/or making a movie please. Please please pleaseee say your next book is about Bec and Nate pretty please with a cherry on top??? still reading "The Fill-in Boyfriend" but so far so good! i honestly love this book i have about 30 pages till im done but I REALLLLYYYY wish you could make like a part 2 with the same people but twist the story up if not someone better make a movie for the-fill-in-boyfriend! who agrees with me?? i Just finished your book The Fill-in Boyfriend. it is a phenomenal book. you are an outstanding author with such raw talent and a prodigious writing style. your book is genuinely relate-able. This book can teach someone a lesson or two. your novel callously showed me that I need to open up more and that revenge is immature. I will definitely use your lesson about being a better person and you really have to try your hardest. It took me one long road trip Georgia to Florida to finish this book. I read it twice and loved it just as much as the first time. Your books are hard to put down, so i usually decide to not put it down once i start. I really hope you do make a sequel because you left all us readers on a cliff hanger. I love how much work you put into this book and how you made everyone personalty intertwine. how you showed that even when you are perfect there is something missing. i pray that there is a sequel!! I got On the Fence for Christmas. I am a person who seeks to find good books that is clean but still has the romance, drama, and fun to it. So my mom found On the Fence and I read it in less than a day. 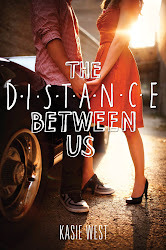 I also read The Distance Between Us in less than a day. However since I was busy I finished the Fill in Boyfriend in two days. I love all of the books as you can tell and look forward to reading others. The Fill in Boyfriend is the best book. It is somewhat sad at the beginning but then it turns into a wonderful happy and lovely book. Bradley deserves himself for dumping Gia on her prom night. Agree!!! Im begging for a sequel! Please, Ms. West! Everyone is begging for a sequel for their favorite books! The Fill-In Boyfriend is my favorite book ever! Im hoping to have a sequel that's about Nate and Bec, and a little of Gia and so called Fill-In Bradley. But not too little! I am also hoping that we're not stressing you out. Thank you! Just wanted to say (in agreement with all of the many comments above!) thank you for each of the books you have written. I found The Distance Between Us by chance, and oh how glad I am that I did! Thank you for fun, clean, well-written stories that leave me wishing they would never end. You are truly talented, and I will look forward to the next book! i love the fill-in boyfriend so much i got my mom into it! Sadly, this is the only book that ive read that was written by kasie west but it was AWESOME! I read my friends some little parts of it and they told me to let them read it after I do. I started the fill-in boyfriend last night...and finished last night! Such a great book, hoping it becomes a movie! Hi, I'm a 13-years-old girl who read your book "The Fill-In Boyfriend." I really loved this book, I literally cried and laughed with it. It's a really good book, but, it left me with a lot of questions. *What was Gia and Hayden's plan to get Bec back? *How did Bec react when Nate arrived to her house? *Who was going to be Gia's roommate? *Are you planning to write a second book to "The Fill-In Boyfriend"? *Did Claire and/or Laney ever talk to Gia again? *What did Gia's parents think about Hayden? I really, really, really need you to answer these questions. I love this book. I felt so connected with this book. "The Fill-In Boyfriend" is my favorite book, but I feel like the end wasn't clear and it should have a second part. My name is Sarah Hicks and I would love to know if there was going to be another book on The Fill-In Boyfriend because you are now my favorite author and I want to know more about you and your work and if you can email me my email is snhicks1945@gmail.com and thank you for the awesome story and for being a great inspiration now I am thinking of becoming an author of my own books. ok I just finished reading the fill in boyfriend and I kid you not I cried when I finished the book because I enjoyed it so much. 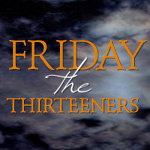 please please please make a sequel to the book or maybe a short film or some sort! I would love to see how Hayden and Gia ended up in the future! This book was great!!!!! I had started reading it today and i just got finished! It was such a great book and i usually dont like reading at all but i could not put down this book!!! I loved how i felt when i was reading it. Ive never felt that was before it was a great feeling! Please make a film in boyfriend 2! I just fell in love with The Fill-In Boyfriend. I could not put it down, EVER. But only one thing, THERE NEEDS TO BE A SEQUEL. Pretty Please could you write a sequel to this. I feel like there is so much more to be discovered. Like how it ends up at college with Claire and Jules. I just gotta know. Hi! I'm Ana from Mexico. I just finished this book and I have to say I really need a sequel!!! I wanna know how is going to be her life in college with Claire and Jules, and of course, her relationship with Hayden. Congrats for your story, it was really good. I love it! I love this book! I just finished reading it like a few minutes ago. And I feel curious of the result of their "revenge" on Bec. I actually sacrificed a few hours of sleep due to my love for this book. And I don't mind at all! It was really a great roller coaster ride of emotions! I love this book! I just recently read pivot point and split second and this was just as amazing. I was pacing my room and smiling non-stop. I loved this book so much I really can't explain it. AHHHHHH!!! I have told all my friends to read it an I now think they are getting annoyed when I keep telling them about it. I was reading with the light of my alarm clock at about eleven o' clock when I finished and barely slept that night, I just couldn't stop thinking about this book. Evryone just needs to read it. I just want to say that I have been wanting to write books forever and this really showed me how amazing a book could really be. I am very hopeful that I could one day become a good a writer as Kasie West is. I have a question Ms. Kasie: are you planning on making another sequel of "The Fill In Boyfriend"? I hope you will because I love that book so much! Thanks to the author for an amazing book I can read over & over again!! I literally just finished The Fill-in Boyfriend and I want to know what you think would happen to Bec and Nate and if Gia and Hayden get married or go to the same colloege. Oh my goodness. I just finished the book and it is super good. I'm a reading freak but boy-oh-boy it is fantastic. I'm begging you to make a second to go along with THE Fill-in Boyfried. Just finished and I really want more! It would be amazing to get a sequel to see how Gia and Hayden are when they go to college, what ups and downs will they have? What about her old besties? Can't wait to start your other books!! You've gained a new fan. I just finished PS. I Like You a few weeks ago and I have started The fill-In Boyfriend. I am on chapter 9 and I love it so far. 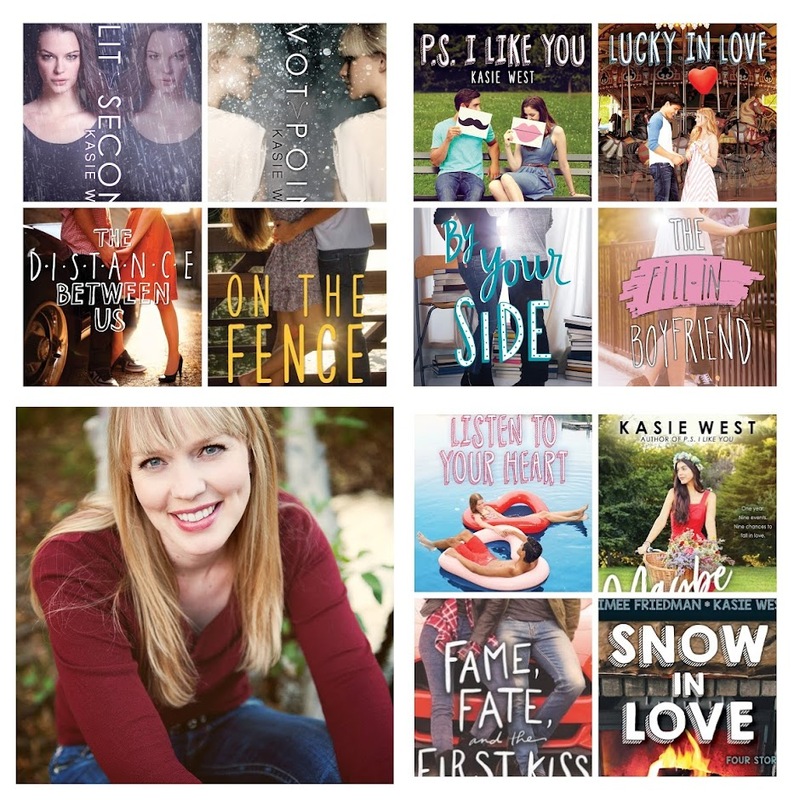 I love all of Kasie West's books! Ive just finished reading the fill-in boyfriend loved the humour and how easy it was read. couldn't put it down can't wait to read the rest of kasie wests books! Your books are the bomb!!! On the Fence was my personal favorite. The plot was amazing and the characters were hilarious! I need book 2, Please. Best book ever! !Kept my eyes glued to the pages!! :) cant wait to read more! !